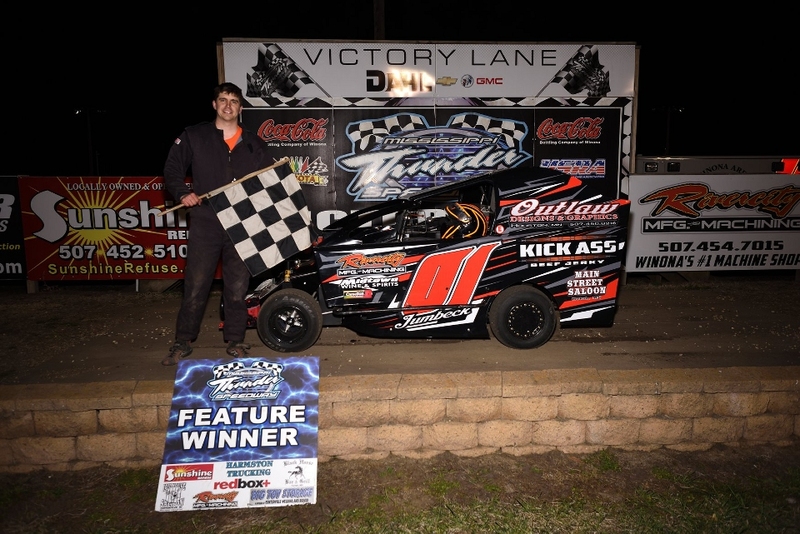 10th ANNIVERSARY SEASON KICKED OFF WITH SUCCESSFUL 2018 SEASON OPENER AT MISSISSIPPI THUNDER SPEEDWAY! FOUNTAIN CITY, WI (Friday April 27, 2018) – 110 Racers, 20 Checkered Flags, 2 roll-overs, & a Grandstand full of bundled race fans helped MISSISSIPPI THUNDER SPEEDWAY kick off the 2018 "10th Anniversary Season" with a perfect Opening Night of racing action! Despite a stiff wind blowing in from the North-West, racers and race-fans alike were ready to brush away the wintery off-season with a hot night of excitement that lasted from the Opening Ceremonies to the night's final checkered flag. By the time that final checkered flag had waived, two defending Track Champions, one former Track Champion, two former Feature Winners, & a first-timmer had visited Victory Lane to celebrate feature wins that they hope will propel them into a successful 2018 season. The distinction, and honor, of collecting the VERY FIRST Feature Victory of the 2018 "10th Anniversary Season" belongs to Harmston Trucking MTS Hornet feature winner Jeremy Johnson. After settling for a second-place heat race finish, behind 2nd heat-race winner Shadow Kitchner, Johnson stormed back to lead the 23-car field to the season's very first waiving of the checkered flag at the conclusion of the Harmston Trucking MTS Hornet feature. The win, however, was no easy breaze as Don Martens and defending 2017 Track Champion Jason Schloegel kept Johnson on his toes with a three-car battle at the front of the field that went all the way down to the final exit of the final turn. Martens' #7M followed Johnson's #917 across the line just ahead of Schloegel's #77 - while first heat-race winner Jake Halterman and Johnny Severtson completed the top-5. 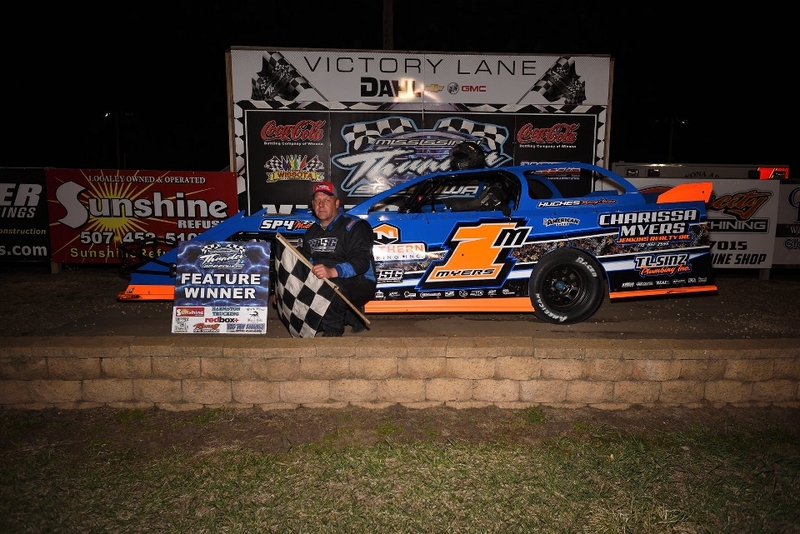 Curt Myers put both his brakes and the left rear quarter-panel of his #1M to the test on Friday night, as the Cameron, WI speedster worked the track like a high-line master from start to finish. With the rear of his car scrapping the outside wall in turns 3 & 4 through the entire 25-lap feature, and his brake rotors glowing red through the second half of the event, Myers kept the fans and his competition cheering and guessing all the way to the finish! "I knew I was pushing the car right up to the limit," commented Myers in Victory Lane, after the win, "I could feel the brakes going away, but I wasn't about to let up!" Pole-Sitter Keith Foss raced to a second place finish just ahead of Dustin Sorensen, in third, while Cory Crapser and Defending Track Champion Josh Angst battled the majority of the feature to determine how the top-5 would be completed (for the record, Crapser 4th - Angst 5th). 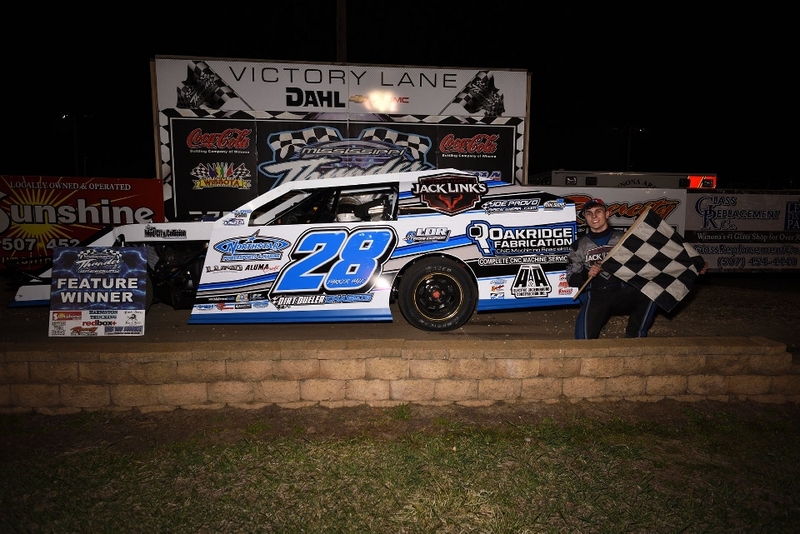 At the end of the 2017 season, Cochrane, WI's Lance Hofer wrapped up his 2nd USRA Late Model Track Championship in three years. Friday night he put his competition on notice that he'd love nothing more than to collect a third in 2018! Hofer started the year off with a clean-sweep, winning both the first USRA Late Model heat-race as well as the evening's 20-lap feature. As Hofer continued his hot-streak, 2016 Track Champion Justin Sass circled the lightning-fast high-banked speedway to a second place finish - just ahead of second heat-race winner Barry Johnson, Derek Nelson & Troy Langowski. After a fourth-place finish in the 3rd USRA B-Mod heat race, Parker Hale had to make things happen if he was going to turn the night around. 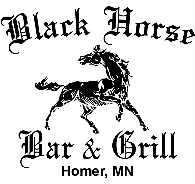 That's exactly what the Grand Meadow, MN racer did; stepping out front of the 27-car field and maneuvering his way to the Opening Night feature win! 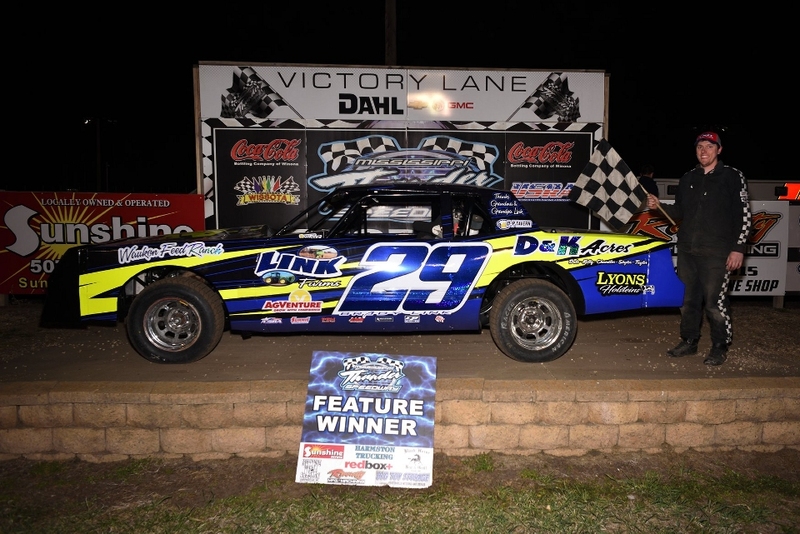 "This new Dirt-Dueller drives like a dream," said Hale, after the feature win, "The work that all of us - family, friends, LDR, everyone - has done made this thing almost perfect for the feature!" Iowa's Dan Hovden followed Hale across the line in second, just ahead of second heat-race winner JT Wasmund (3rd), Casey Knutson (4th) and Andrew Bleess (5th). Kyle Jumbeck survived a side-by-side battle for the lead with Chris Gilbertson, that lasted almost the entire redbox+ 600 Mod feature, to claim the division's feature feature win of 2018. With Gilbertson committed to the extreme bottom of the track, Jumbeck stepped out to his familiar line at the extreme top-side of the speedway's high-banks to keep his momentum up! "Yeah, I think I probably drove almost twice as far as Chris did," laughed Jumbeck in Victory Lane, while commenting on the battle for the win. John Griffin, former Track Champion Greg Wohletz & first heat-race winner Cody Gardner completed the top-5. 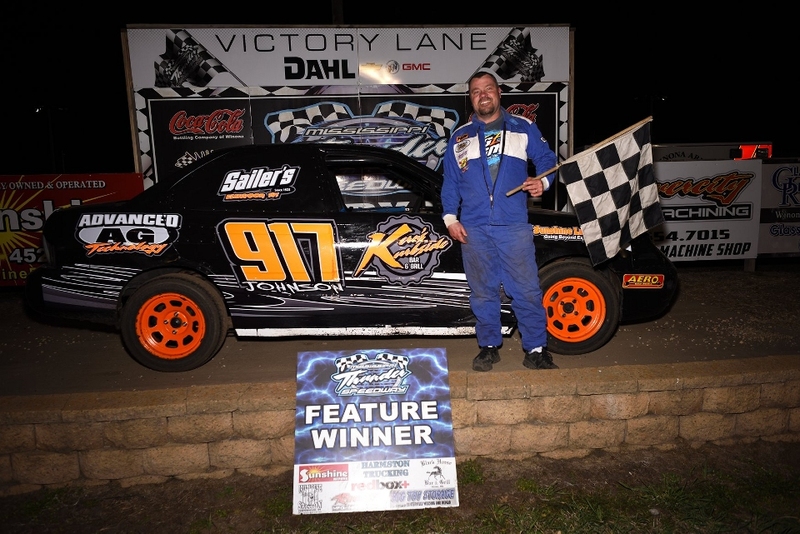 Brady Link has a habit of sneaking in from Iowa when he can and stealing feature wins from MTS USRA Hobby Stock regulars. 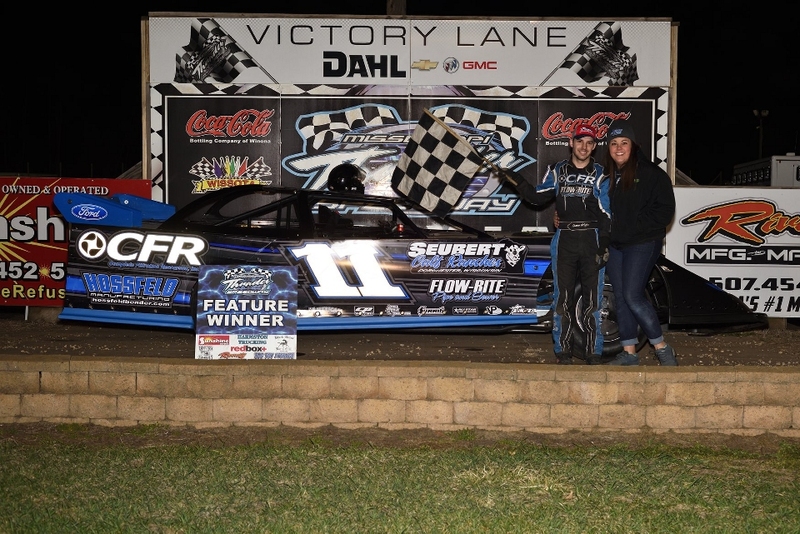 He did it again Friday night during the 2018 Season Opener - completing a 'clean sweep' in the division by winning the first heat-race and then backing that up with the feature win. "This new car was absolutely perfect," Link explained, in Victory Lane, after the win - and then turned the spotlight elsewhere, "You know, I appreciate the fans chearing for me and this win, but every single driver out here deserves a round of applause. Every person who works in the pits, or back in the shops; every sponsor . . . and especially all the family members who put up with our long hours in the garage or at the track or on the way to the track. I hope you'll all chear just as loud for them also." Jay Mensink, who followed Link beneath the waiving checkered flag in the heat race, mirrored that finish, by racing to second in the feature - just ahead of second heat-race winner Travis Krause, Defending Track Champion Steve Holthaus in fourth and Paul Seabrooke in fifth. MISSISSIPPI THUNDER SPEEDWAY will once again roar to life Friday May 4th with "Leighton Broadcasting / Budwweiser Night"! Green flag competition begins at 6 pm with the 2018 season debut of the Sunshine Refuse Slingshots on The LIGHTNING SPEEDWAY.